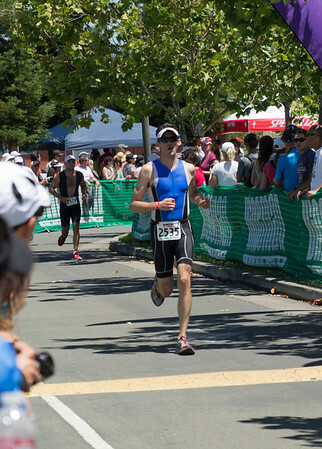 Last Sunday I participated in the Ironman 70.3 Vineman Triathlon, which consisted of a 1.2 mile swim, 56 mile bike and 13.1 mile run, and was held in Sonoma County, California. This was my first half ironman distance and I had a blast! Thanks to the generous donations of friends and family I was able to raise $825 for Building Bridges Worldwide, a not-for-profit organization founded by several of my friends from college that is committed to constructing schools, orphanages, clean water wells, medical clinics, and bridges in impoverished communities both domestically and around the world. 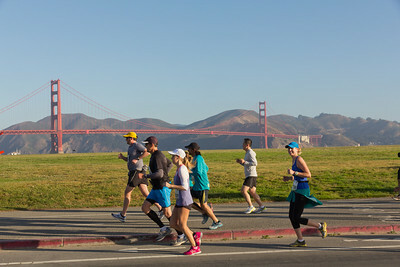 Sarah and I had a pretty fun month of June with a couple of races – Sarah raced in the San Francisco Half Marathon and I raced in the Folsom International Triathlon (Olympic Distance). We both scored great weather and had a blast!